Stuttaford Van Lines George recently donated collection boxes towards the 10 000 Wishes campaign which kicked off on 31 October and will continue until 09 December 2016. The campaign, which is an initiative of Algoa FM, Rotary and Group Editors, aims to put a smile on the face of a less fortunate child by giving them a special gift over the festive season. 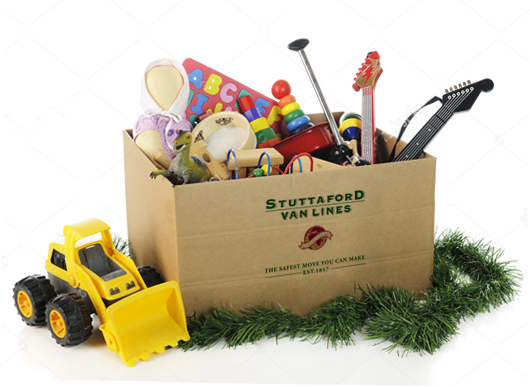 The collection boxes were placed throughout the Southern Cape region and people are encouraged to get involved by dropping off new or used toys at the collection points. Every single toy will make a difference, regardless of size or value. With the help of Rotary, the toys will be distributed in the area where it has been collected. For more information about the project, please contact Lorraine Verhagen at lverhagen@groupeditors.co.za or 044-8742424. This 10 000 Wishes campaign is only hosted throughout the Southern Cape Region.